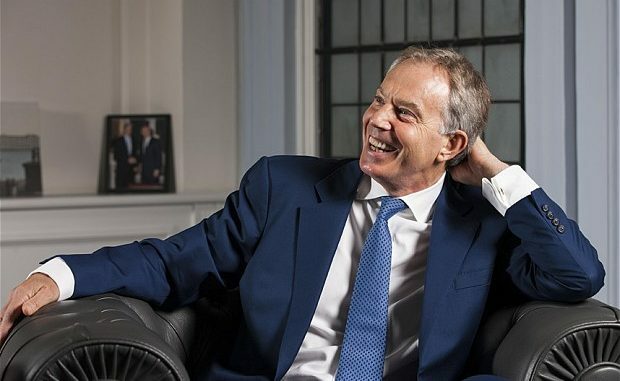 British MP’s have launched a campaign to force Tony Blair to reveal his finances after earning millions from foreign states with questionable civil rights records. Press TV reports: Conservative lawmaker Andrew Bridgen is to table a parliamentary motion next week demanding that former prime ministers reveal their incomes, amid growing concerns about Blair’s work for controversial foreign governments. Bridgen argued that current legislation that applies to serving lawmakers must also apply to former prime ministers, including Blair. Blair’s private consultancy, Tony Blair Associates (TBA), has a multi-million-pound contract with Kazakhstan’s authorities to advise the country’s leadership on ‘good governance.’ Human rights activists have condemned Blair for advising Kazakh President Nursultan Nazarbeyev, accusing Blair, of acting “disgracefully” in bolstering the leader’s credibility on the world stage in return for millions of pounds.